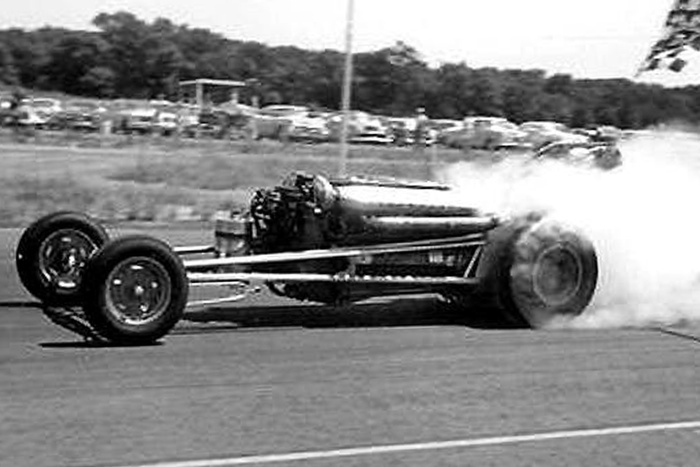 Unidentified single Allison powered Dragster. 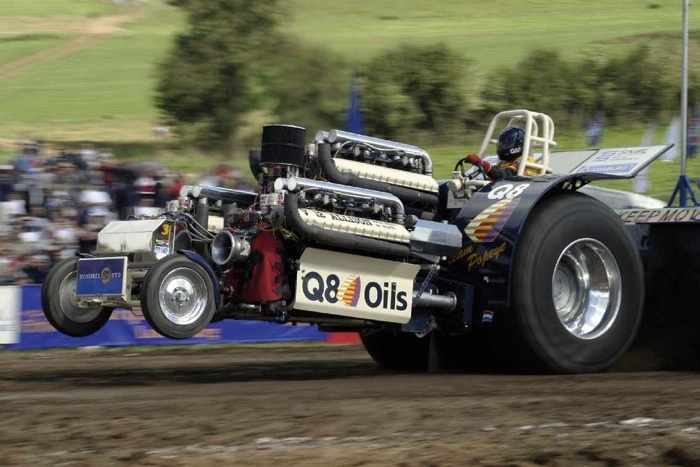 Quad Allison engined dragster built by Jim Lyttle. Unidentified triple Allison powered tractor puller. Roude Leiw - a Curtiss Wright radial powered tractor puller. 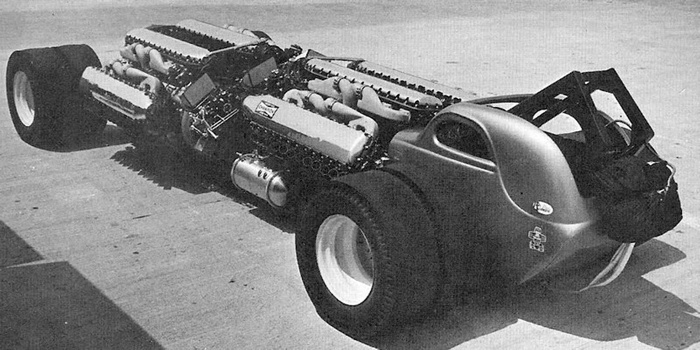 Baby Duck - quad gas turbine powered tractor puller. And just to finish on something (relatively) sensible (and Australian) this is Craig Archer's V8 dirt drag bike. A down under E J Potter, no less!. Indeed. IIRC Potter was also involved in putting Allisons in cars. These ridiculous contraptions are glorious. Two words - Clipper Ship. Lets say, for whatever reason, air freight isn't an option and the need for tea to be once again shipped from China to London as fast as possible turns into a race. What would you choose? Catamaran, hydrofoil or ekranoplan? 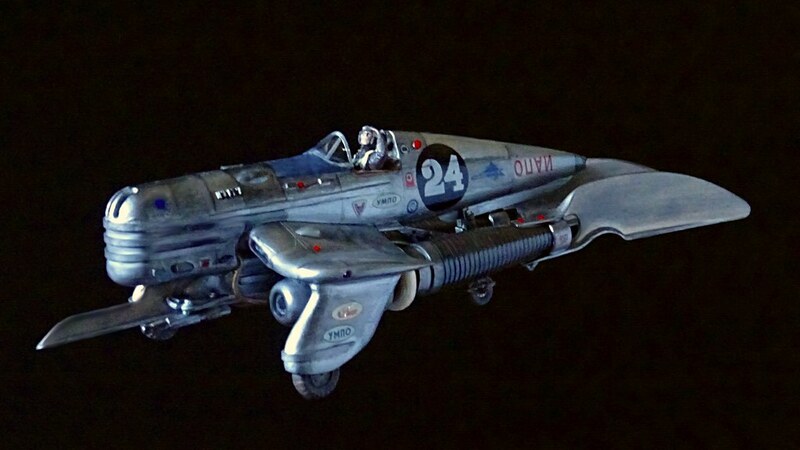 ...and this one by Bengalensis on Britmodeller. I rather like the idea of a hydrofoil, Trimaran clipper container ship. The potential sail area would be VAST, and with all that deck area it could carry a LOT of containers too. A foiling tri-hull as Kit suggests. Of course, that puts it outside of your no airfreight arena. a percentage of overall weight than an ekranoplan. That may be true. But they are still way cool. An amphibious road train might be interesting, though! That, and nicking Wombat's image gives me an idea too; road train racing. Like caravan/trailer racing but bigger with hazardous loads and armoured cabs. Is it OK to use tobacco company sponsor decals please? Sure, but only as long as you include the black box warnings. Feel free to use any markings you desire. Developing that theme, I've been up in The Loft and come down with a whole bunch of interesting stuff. Can I enter a whole racing team, the race car, the trailer and the tow truck as one model or will they have to be entered separately?